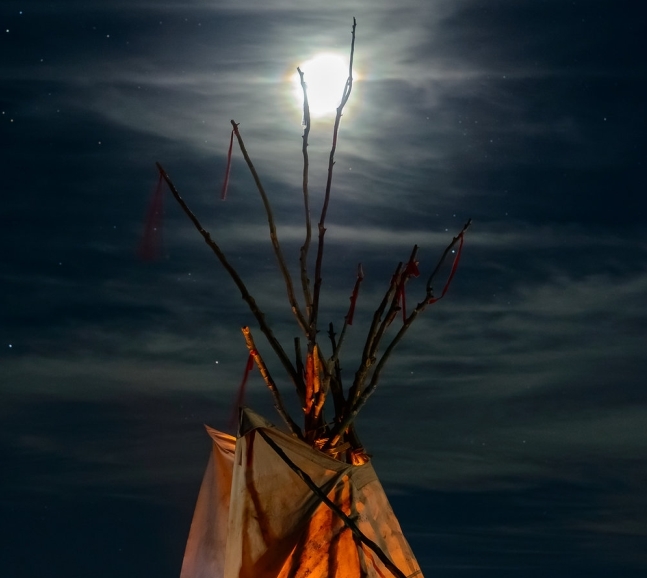 According to some Native tribes, the full flower moon means increasing fertility, as temperatures become warm enough for animals to bear young. With spring in full bloom May's Full Moon is commonly known as the Full Flower or Big Leaf Moon. 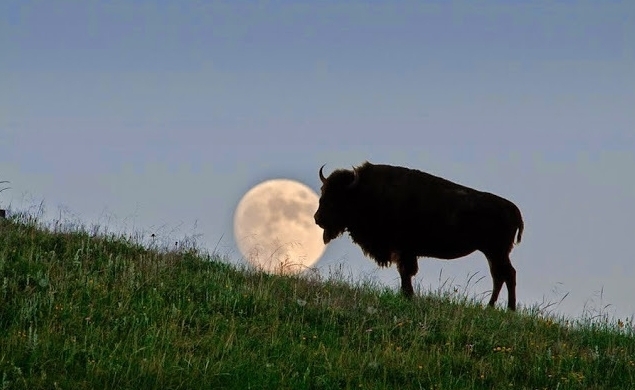 The Arapaho Indians referred to this Full Moon as "when the ponies shed their shaggy hair"
Some Algonquin-speaking nations named it the Corn Planting Moon or Milk Moon (though the milk in this case would likely have been referring to milkweed, not cows, which are not native to the Americas). The Ontario Native Literacy Coalition notes that while the Ojibwe tribes of the Great Lakes area called the May full moon a Flower Moon ("Waawaaskone Giizis"), people of the Cree Nation in northern Montana and parts of Canada named it the Frog Moon because this was the time of year frogs became active. For this reason, it’s sometimes called Mother’s moon. It also signals the near end of late frosts. One interesting characteristic Northern Hemisphere observers may notice about the full moon is that it will be in the sky for a shorter period than the sun. This is because the full moon, being opposite from the sun as it peaks, occurs in the part of the sky that is below Earth's celestial equator, so it traverses a shorter path from horizon to horizon as it rises and sets. May Moon Names: Frog Moon (Cree). Ponies shed (Sioux). Bright moon (Celtic). Waiting Moon (Hopi). Mulberry Moon (Greek). Ninth Moon (Wishram). Idle Moon (Assiniboine). Big Leaf Moon (Mohawk). Panther Moon (Choctaw). Grass Moon (Neo-Pagan). Planting Moon (Cherokee). Corn Planting Moon (Taos). Little Corn Moon (Natchez). Green Leaf Moon (Apache). Corn Weed Moon(Agonquin). Field Maker Moon (Abernaki). Blossom Moon (Anishnaabe). Shaggy Hair Moon (Arapaho). Green Leaves Moon (Dakota). Fat Horses Moon (Cheyenne). Leaf Tender Moon (San Juan). Hare Moon (Medieval English). Milk Moon (Colonial American). Strawberry Moon (Potawatomi). Hoeing Corn Moon (Winnebago). Alewive Moon (Passamaquoddy). Ninth Moon (Dark Janic), Mothers Moon (Full Janic). Flower Moon, Corn Plant Moon, Milk Moon (Algonquin). Responses to "Big Leaf Moon (Mohawk): Native American May’s Full Moon Names and Their Meanings"